I’ll be honest, I wasn’t that keen on racing, but felt that January is good a time as any to get a kicking and might shock me into finding some form and top end. 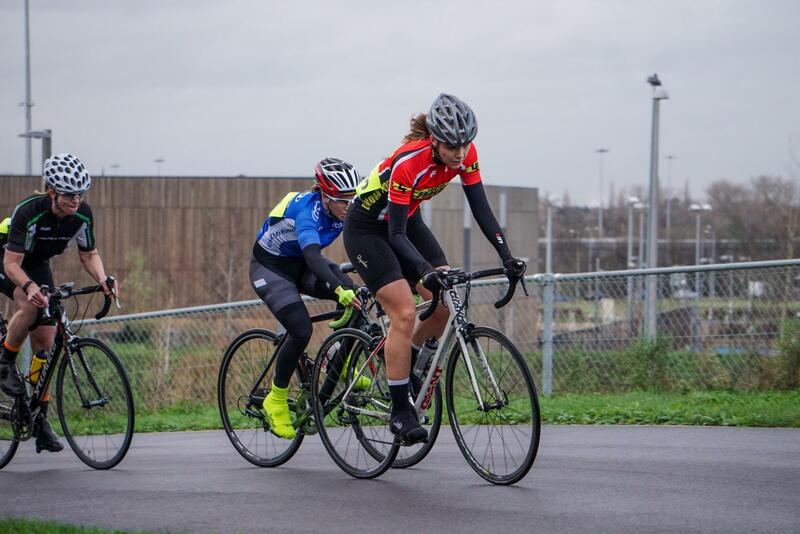 There were only 28 E123s signed up so for velopark quite a small field, which I liked. Usual format of hour plus 5 laps and whilst it was January, it wasn’t that cold, but the circuit was wet enough to cover you in spray. 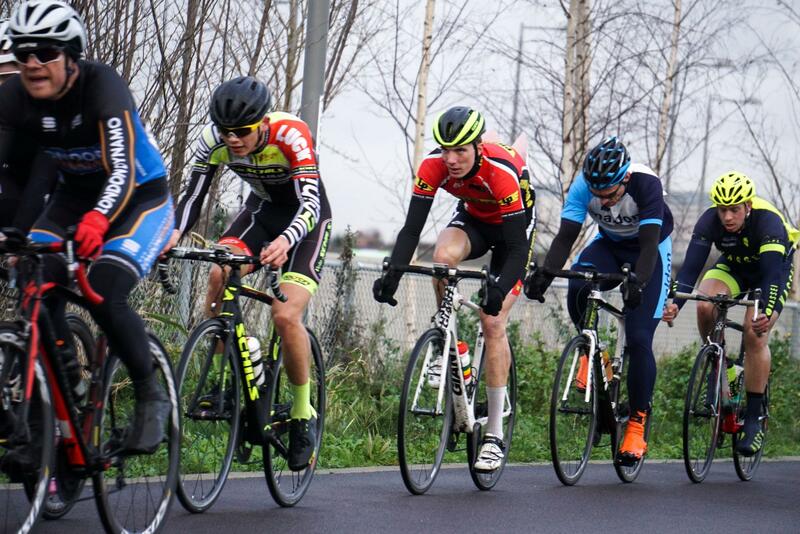 First few laps and nothing really happened, plenty of excitable people shooting off the front, getting dragged back and so on, until a break of 4 went, including James Lowden and a junior rider who I knew was very strong. Over the next few laps various riders tried to go off the front, trying to form small chasing groups or pull the bunch along. 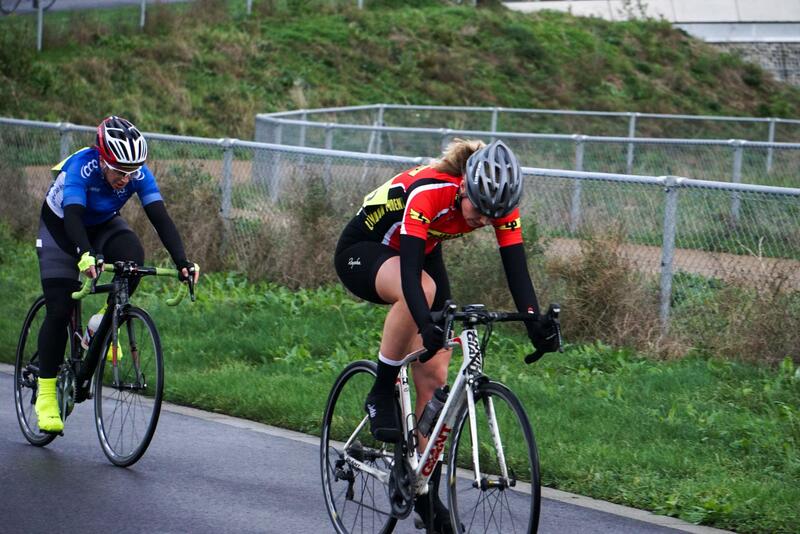 In reality the break of 4 were just too strong for the bunch and pulled out a healthy gap over over 1.5 minutes. 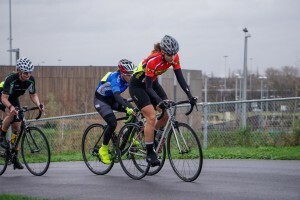 Last few laps, and despite feeling “not too bad” throughout the race I didn’t seem to have the power to sit on the front for any great length of time. Bell went and I moved up, fell behind a little out of the bottom hairpin, and watched as an attack went up the road, a loan rider. I moved up and coming into the final bend seemed to be making up ground, however must have been 15 places back at this point still. I didn’t contest the sprint and rolled in with the bunch. 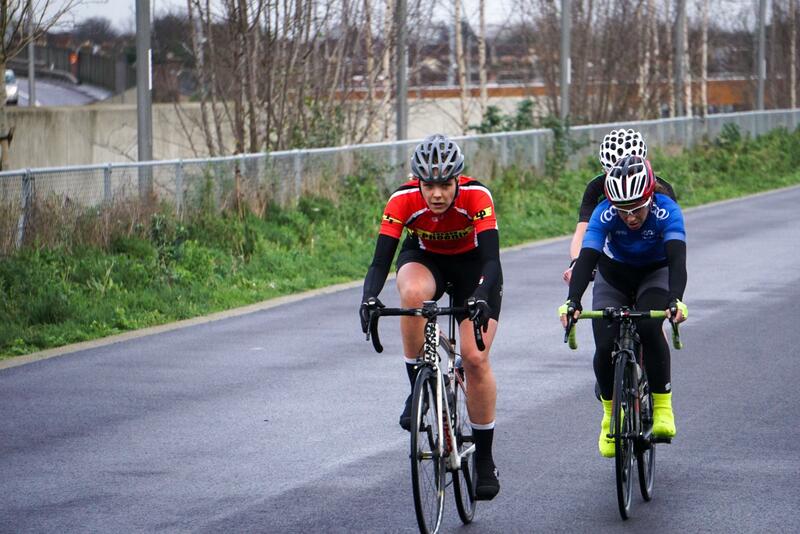 In the end there was 4 up the road, 1 loan final lap attack so it was a bunch sprint for 6th. Was a good wake up call, and nice to see a winter of base hasn’t completely trashed any top end I had. Onto the next one now. 11 Signed on at the start meant a full accompaniment of points available, which was good news! The race stayed together for the first few laps whilst riders were getting into their form, then after a short time there was a split. This was split into a select group of 4, which I made it into. We continued to work together as a 4 and opened up quite a gap from the rest of the riders, with around 15 minutes left there was another attack and another split as a lone rider went off the front. Cue the race now being split in 3, two breaks and the remains of the bunch. I tired to work with the other two riders, however one of them wasn’t having any of that, and decided to sit in, the two of us couldn’t quite shake her off . This proved key, when on the last lap, the rider who had been sitting in jumped off the front, stayed away and claimed 2nd. I just missed out on 3rd in the sprint and came 4th. Overall a good result and i’m please to start the season with a solid result, hopefully plenty more to come. Thanks to http://www.inphota.com/ for the photos!